It noted that the burning of the church was the latest event in the destruction of Christian property in Mosul. 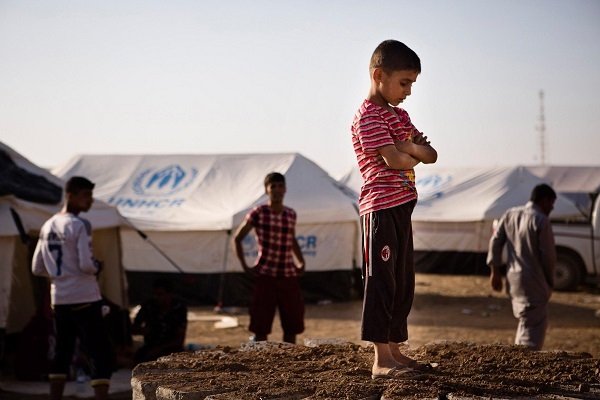 A boy, who fled from the violence in Mosul, stands near tents in a camp for internally displaced people on the outskirts of Arbil in Iraq's Kurdistan region. The ISIS deadline for Christians to leave Mosul ended at the weekend, and thousands of people who follow the religion have left the city. And as the last group of Christians made their way out, the militants torched the 1,800-year-old Assyrian Christian church. 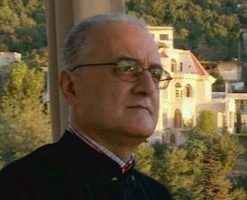 According to Al Arabiya, the church was burned down on Saturday, after the remaining Christians fled. It noted that the burning of the church was the latest event in the destruction of Christian property in Mosul. 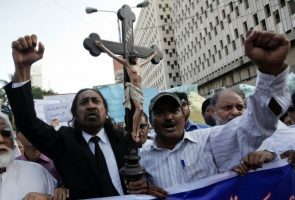 The militants, who are on a mission to establish a Muslim state under Sharia laws, want to cleanse Iraq off Christians. Besides the burning of the church, the ISIS militants have removed the cross from St. Ephrem’s Cathedral, which was once the seat of the Syriac Orthodox archdiocese in Mosul, and have hoisted the black ISIS flag there instead. An ancient statue of Virgin Mary has also been broken, the New York Times reported. “They killed us when they removed the cross, this is death for us,” Ghazwan Ilyas, the head of the Chaldean Culture Society, told NYT. Similarly a video, posted on YouTube on 9 July, shows a tomb being destroyed with a sledgehammer, which according to Nineveh officials is “almost certainly” that of Prophet Jonah. According to BBC, thousands of Iraqi Christians have been pouring out of Mosul even since June but after the ISIS ultimatum, which asked them to convert or pay tax or leave or face death, the number of refugees fleeing the city literally doubled. The Human Rights Watch (HRW) stated that the Mosul Christians have fled to join thousands of Shiite and other refugees in the neighboring autonomous region of Kurdistan.